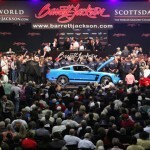 Barrett-Jackson is the world's leader in collector car auctions and automotive lifestyle events. With over 130 years of combined experience in the automotive field, the expert staff at Barrett-Jackson handle a unique and diverse inventory of classic and collector cars. Barrett-Jackson produces the The World's Greatest Collector Car Auctions® in Scottsdale, Arizona; Palm Beach, Florida; the Northeast at Connecticut's Mohegan Sun and Las Vegas, Nevada, where an incredible set of coveted vehicles cross the block in front of classic and collector car owners and automotive enthusiasts. Shelby American, founded by American racing legend Carroll Shelby, is the premier independent performance car company in the United States. Committed to delivering cars and products that provide an unparalleled driving experience, the company has been at the forefront of automotive innovation since it was established in 1962. 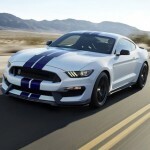 Shelby American manufactures and markets performance vehicles and related products through dealers and partners worldwide. 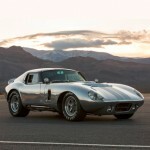 Based in Las Vegas, Nevada, the company builds authentic continuation Cobras, including the 427 S/C, 289 FIA and 289 street car component vehicles; it offers the Shelby GT, 1000, GT500 Super Snake and GTS post-title packages for the 2005-2015 Ford Mustang. Shelby American also builds the Shelby Raptor muscle truck. Working with one of the nation's top OEM's, TimePiece has facilitated the launch of new performance-based cars through promotions, event coordination and attracting spectators. TimePiece has secured publicity in national publications through a variety of means, including writing high-interest stories, putting exceptional cars through auction and through use of charitable donations. We work closely with executive leadership to produce enthusiast events across the nation whereby we've secured journalists to ride in vehicles.